Ornamental Design for A Needle Case. Class 4. 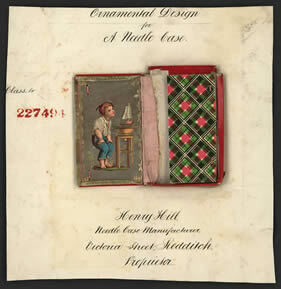 Henry Hill, Needle Case Manufacturer, Victoria Street, Redditch, Proprietor.